With the Miracle League of the Triangle expanding its services to Downtown Durham in 2018, Blue Cross and Blue Shield of North Carolina (Blue Cross NC) and EmergeOrtho have joined the program as Major Sponsors by each pledging $50,000 to support the organization and facility. The new facility, initially announced in May of 2017, is set to open at 461 Morehead Ave., across the street from Durham Bulls Athletic Park. The $50,000 contributions from both Blue Cross NC and EmergeOrtho now turn into a $200,000 pledge, as the Durham Bulls and Capitol Broadcasting announced a $400,000 matching grant for the facility in May. "The Miracle League ballpark will make Durham an even more inclusive place for all of us," said Blue Cross NC Senior Vice President and Chief Sales, Marketing and Communications Officer Jon Roos. "Blue Cross NC is proud to call Durham our home and to support the construction of a gathering place that will bring joy to so many children and families. We're honored to help realize the vision of children of all abilities coming together as friends." The Miracle League program and field are specifically designed to serve children and adults with special needs through the game of baseball. The program removes the barriers that keep children and adults with mental and physical disabilities off the baseball field, and lets them experience the joy of America's pastime. The facility in Durham, made possible by a partnership with the Durham Housing Authority, will feature a rubberized playing surface designed to accommodate wheelchairs and other assertive devices. 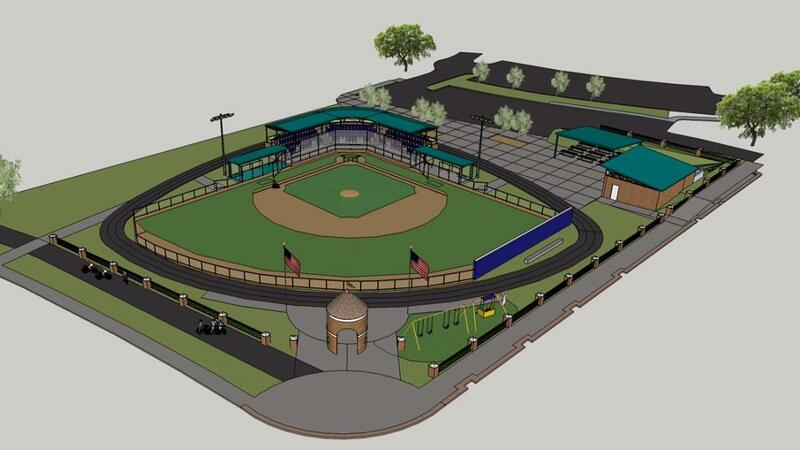 "We are proud to partner with the Miracle League of the Triangle, in association with the Durham Bulls and Capitol Broadcasting, to build the new Miracle League facility with plans to be located across the street from Durham Bulls Athletic Park," said Jim Carrier, Pharm.D., CEO of the Triangle Division of EmergeOrtho. "EmergeOrtho has continued the tradition of being partners with the communities we serve and feel a sponsorship of this tremendous program is a great cause that will bring joy to so many deserving kids."